...the company announced early Thursday that it has finally selected a new chairman of the board. As those who have been closely following Silicon Valley's favorite carmaker will no doubt remember, (former) CEO Elon Musk surrendered his chairman title (and, according to one manic-sounding tweet, all of his other titles as well) earlier this year in accordance with the terms of a conspicuously lenient settlement with the SEC Musk had attracted the attention of the agency after an early-August tweet advising that he had lined up backers to take Tesla private at $420 a share. The company's pick? Telstra CFO Robyn Denholm, who is a top executive at Australia's largest telecom group. In a statement to the Financial Times, the company touted Denholm's "extensive experience in both the tech and auto industries" and her "significant contributions to as a Tesla board member over four years." But Denholm has another qualification that Tesla neglected to highlight - something that undoubtedly appealed to Musk during the selection process. She has another demanding full-time job. To be sure, Denholm has committed to focusing her energies at Tesla. After a "six-month notice period", she will leave Telstra to focus exclusively on Tesla. But that's two quarters from now. 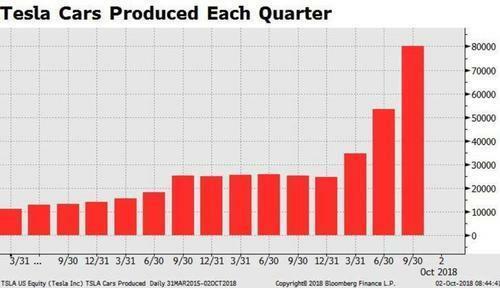 And with an FBI probe into allegations that Tesla knowingly inflated its production forecasts ramping up, it seems that, during the intervening months, a lot could happen. During that time, the company has assured investors that Musk will make himself available to be a "resource" for Denholm. Ms Denholm has been an independent director at Tesla since 2014. "I believe in this company, I believe in its mission and I look forward to helping Elon and the Tesla team achieve sustainable profitability and drive long-term shareholder value," she said. In a statement, Tesla added: "To ensure a smooth transition during the remainder of Robyn’s time at Telstra, Elon will be a resource to Robyn and provide any support that she requests in her role as chair." Ironically, Denholm's decision to depart Telstra comes after shareholders raised well-publicized concerns about her ability to manage her responsibilities as a Tesla board member alongside her every day duties at Telstra, which is in the midst of a major restructuring. Ms Denholm, 55, has experience of working in the US and Australia across a range of technology companies, including Telstra, Juniper Networks and Sun Microsystems. An Australian, she worked in a finance management role at Toyota, the carmaker. She has spent just under two years working at Telstra, playing an important role in helping to restructure the former state telecoms operator in the face of tough competition in its domestic market. Over recent weeks Ms Denholm had fielded questions from Australian media about her ability to juggle her commitments as a Telstra executive and her position on the board of Tesla, which has been in crisis mode for several months. At least one analyst claimed that Denholm's departure would be a "loss" for Telstra. "Telstra chief executive Andy Penn has relied on Denholm to help him implement the company’s change programme. She will be a loss," said Ian Martin, analyst at New Street research. Her appointment also puts to rest rumors that Fox's James Murdoch had been interested in the job - rumors that Musk put to rest by replying in a tweet that "this is incorrect." If Tesla faces as many difficulties in 2019 as it did in 2018, we imagine that Denholm has her work cut out for her. And if the FBI's decides to pursue criminal charges against the company, we imagine she might, as a board member for four years and chairwoman, be put in the position where she must take responsibility for questionable management decisions that were not of her own making. But that's just one of the hazards of the job.